FOUR PAWS US Campaigns & TopicsCampaignsThanks eBay! It’s becoming more and more common to buy pets online via classified ad sites, no matter if you are seeking a puppy, a kitten, a rabbit or a even a horse. The global online trade of animals is booming. Poor regulations have allowed many classified ad sites to become a haven for deception and animal suffering. Thousands of puppies are sold via online classified ad sites. 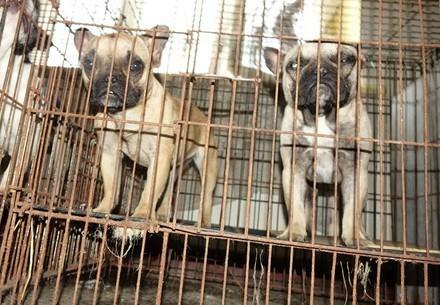 Many are bred in horrendous conditions, often referred to as "puppy mills." The market leader in the classifieds industry is eBay, which operates classified ad sites around the world. People can sell anonymously on eBay’s classified ad sites, such as Gumtree. 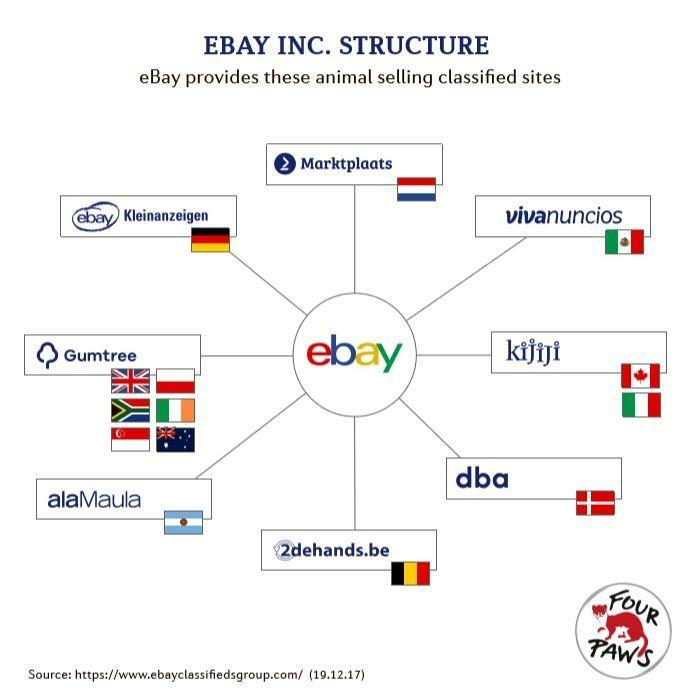 eBay knows that besides responsible users, there are also a number of cruel breeders and ruthless traders using its websites to conduct their business – but it is not doing enough to deal with the problem. Mandatory seller identity verification would require sellers to provide a form of identification before they can advertise animals for sale — effectively stopping anonymous, untraceable sales. Although eBay no longer has a U.S.-based classified ads website, their company headquarters is here. 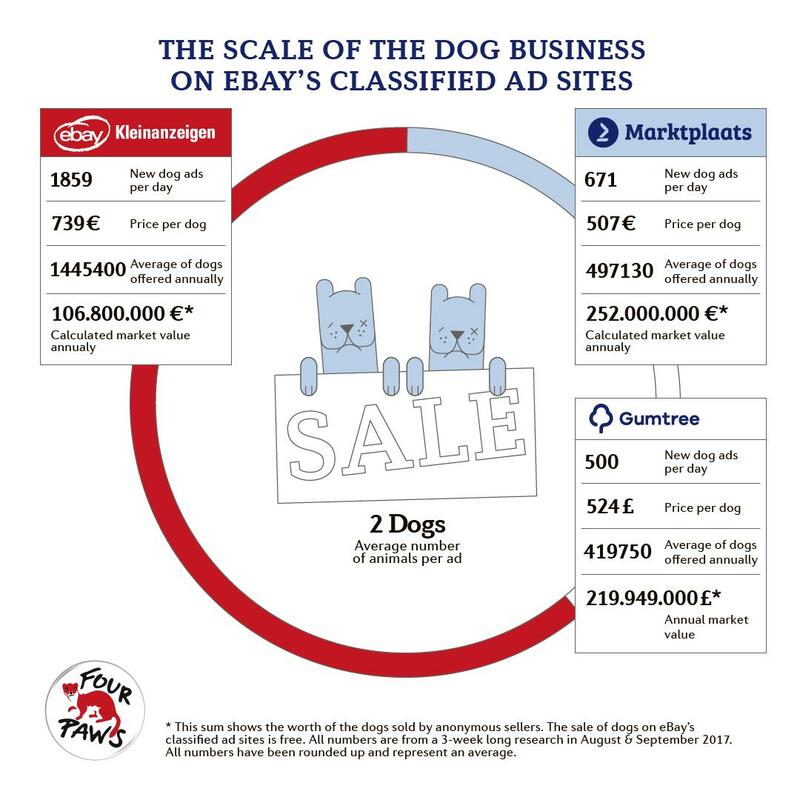 So while online animal sales don't happen on eBay in the U.S., eBay owns several classified ad websites in Europe that are providing a perfect platform for sick puppies to be sold anonymously online. So far eBay has failed to take part in any meaningful discussions with FOUR PAWS. Help us push them into action! Read our proposed measures for the online pet trade here. 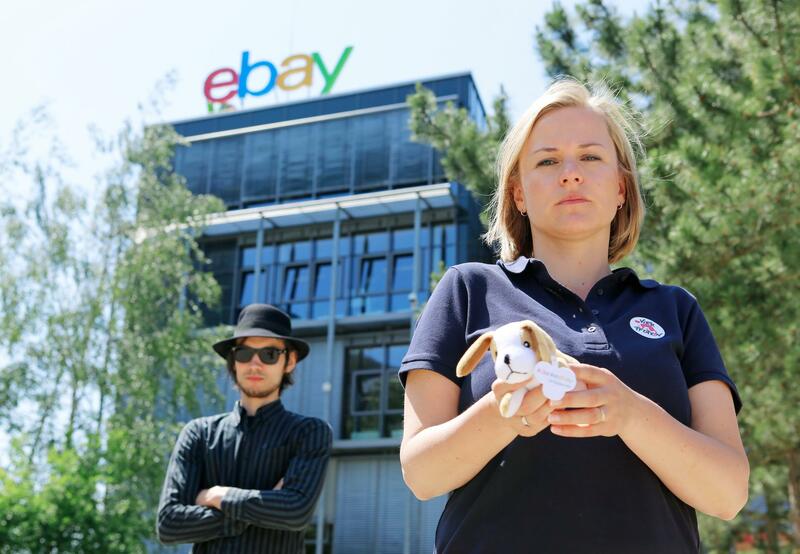 Help push eBay into action by signing our petition today! The dirty business of treating dogs like a "commodity"